A coroner has somehow found no evidence of collusion in the notorious murder of a nationalist pensioner who was shot dead by loyalists as her home was being actively surveilled by the British Army. 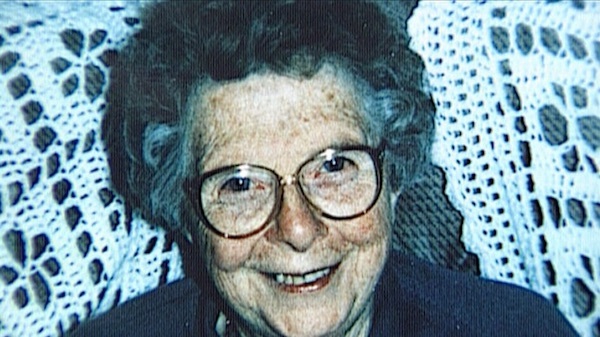 The 1994 murder of 76-year-old Roseann Mallon (pictured) at her bungalow on the edge of Dungannon in County Tyrone has always been an infamous example of the British state’s links to loyalist atrocities. The inquest into the killing started in April 2002, but coroner Reginald Weir only delivered his report on it this week. He blamed his delay on the refusal of the authorities to release relevant documentation and the refusal of former RUC members to engage with the inquiry. Despite an absurd litany of ‘failures’ by the RUC (now PSNI) police, as well as the presence 500 metres from the murder scene of a dedicated unit of six British soldiers who were engaged in round-the-clock surveillance of the home, Weir said he found no “direct or indirect evidence” of collusion. The RUC arrested loyalist serial killer Billy Wright after the murder, but released him four days later. They subsequently claimed their interview notes had been destroyed due to asbestos and could not be retrieved. Allegations that he was a state agent were never subsequently investigated. Two months after the murder, a neighbour found two surveillance cameras in a field overlooking the house where Mallon died. According to the coroner’s report, the RUC Special Branch admitted it had installed the camera, which sent images to soldiers hiding nearby, in order to spy on members of the Mallon family. The camera was in use on the day of the murder and the soldiers at that post heard gunfire, but they were ordered not to respond. The videos from this camera were never submitted to the murder investigation team, the police admitted. The retired RUC man in charge of the ‘investigation’ explained this by saying: “if Special Branch thought you didn’t need to know, you didn’t know”. Despite accepting there had been an attempt to hide the evidence, the coroner claimed there was no “factual nexus” between the surveillance and Mallon’s death. “Clearly a decision was taken at a senior level in Special Branch not to share the video material or its existence,” he said. More than five months after the murder, Special Branch handed over a list of car registrations that had been observed on the road that day, but there was a “discrepancy” between that list and those cars on the video footage, the inquest heard. “It is difficult to understand and has not been explained,” the judge admitted. He also noted the RUC had avoided carrying out fingerprint tests, and also somehow failed to discover the murder weapon had been used in eleven previous murders. He said the forensic staff who conducted the technical examination of weapons and ammunition were “plainly...not independent”. But none of this persuaded him to draw any conclusions on the issue of state culpability.